A musical journey from Nile to Niger following the pentatonic scale guided by Anivolla´s desert blues. Piranha Publishing artist and great desert blues man Alhousseini Anivolla from Niger together with Girum Mezmer, jazz guitarist from Ethiopia, started this journey with the aim of showing the potential of music in a changing world. 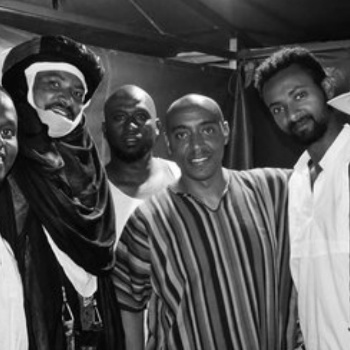 After a successful crowdfunding campaign, they travelled through Ethiopia, Djibouti, Kenya and Niger where they organized various concerts, workshops, and conferences and shared many magical moments alongside great musicians and wonderful audience. All of these gave them the opportunity to exchange ideas and learn from each other: about cultural characteristics, similarities, history, food, architectural styles and language.